If you are a Chicago fan you are aware of what the Bears did during the offseason. The Bears were the chief beneficiary of a dysfunctional regime change in Denver. Jay Cutler might be the most talented young quarterback to change teams in my lifetime. Cutler is not the most beloved of teammates and there will be extreme pressure on him to produce. His early success will be heavily dependent on the development of his youthful receiving corps. Wide receiver Devon Hester has steadily improved his receiving skills and has become quite adept at drawing pass interference penalties. The second option after Hester looks to be tight end Greg Olson. Despite not having great run blocking ahead of him, running back Matt Forte has been quite effective for the Bears. The offensive line has a pair of former greats, one of whom still is. Center Olin Kreutz is still exceptional but left tackle Orlando Pace has worn down and is now a bit brittle. The Bears offensive line depth will likely be tested. The Bears defense slipped in 2008 but was still one of the better defenses in the NFL. One of the main reasons for the slippage was the play of defensive tackle Tommie Harris. When Harris is healthy only Albert Haynesworth is comparable. Last year both his health and effort lagged. Apart from Harris the Bears defensive line is filled with good but not game-changing players. The Bears want to give their defensive line a bit more rest and used their first pick (3rd round) on defensive tackle Jarron Gilbert. Last year the defensive line had trouble producing a pass rush and that is going to be their first priority in 2009. Weak-side linebacker Lance Briggs is one of the best linebackers in the NFL. 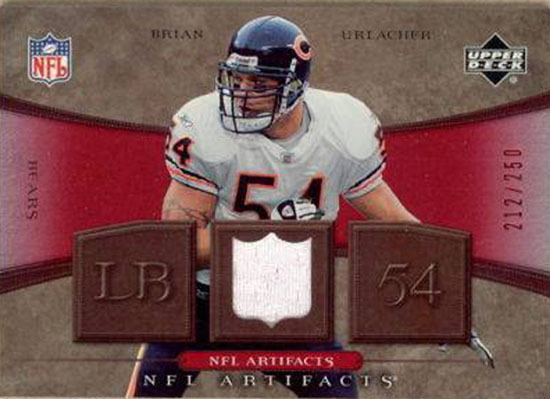 Middle linebacker Brian Urlacher is no longer dominant but he still is a plus for the defense. Let me go off on a bit of a tangent here. Because of a weak pass rush last season the Bears had to threaten pressure from the linebackers. This put them out of position and played against their strengths. Furthermore it put the secondary into a lot of man coverage. The secondary had been constructed to play Tampa-2 style zone and was not particularly effective in man coverage. Having no pass rush at all will get your secondary killed but if you need to bring more than 4 men to generate your pass rush you still might be in trouble, something the Bears experienced last year. The Bears secondary battled injury problems last season. Cornerback Nathan Vasher was once an elite player but has regressed. If Vasher does not return to form the Bears secondary lacks impact players. The Bears special teams regressed from excellent to merely very good which is the same level of performance I expect from them this season. Hester gets a lot of attention but Danieal Manning was the more effective return man last season. The Bears certainly have as much potential as any team in the NFC this season. They still have much of the talent that led them to 13 wins in 2006. However, offensive line issues, a weak wide receiving corps, and an aging defense lead me to believe the Bears won’t be a great team this season. They went 9-7 last season and that is what I expect for them this year. Quarterback Matthew Stafford, wide receiver Calvin Johnson, tight end Brandon Pettigrew, and running back Kevin Smith are all talented and can form the core of a potent offense. Coach Jim Schwartz is notable for being a football coach who embraces statistical analysis and might start correcting a variety of inefficiencies that fans and analysts have cried about for years. General Manager Martin Mayhew understands the situation the Lions are in and is going to be able to sacrifice short-term success for long-term growth. 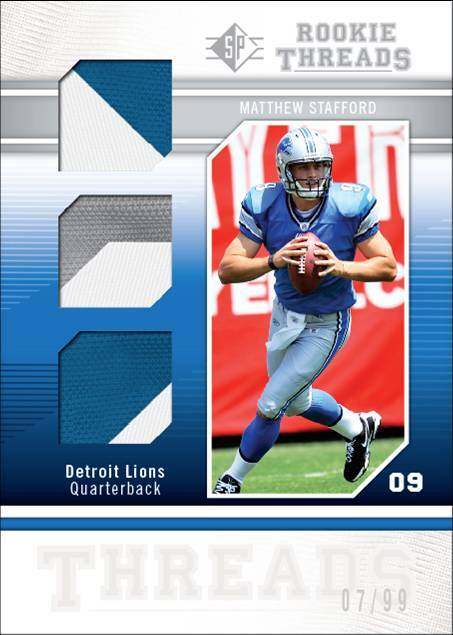 Please note that I am not optimistic about Stafford, and that we might never know how good he can be as his offensive line might get him killed (Carr, David). Defensively expect the Lions to be aggressive. Apart from a pretty good linebacker corps the defense looks like it will usually be overmatched. Defensive end Cliff Avril looked like the best defensive lineman on the Lions in 2008 and it will be interesting to see if can improve upon his level of play. The secondary has been rebuilt and will almost certainly be better than last year’s version. Rookie free safety Louis Delmas should be fun to watch. The Lions special teams were consistently good on kickoffs and punt coverage, and consistently poor at returning kickoffs and punts. Kicker Jason Hanson had a flukishly good season. The Lions’ special teams are not a weakness, which is nice given how many holes there are on the roster. The Lions are obviously not a good football team but they’re a lot better than 0-16. I have them going 4-12 but the real issue with the Lions isn’t wins and losses, it is player development and talent acquisition. The biggest priority for the Lions right now is to help turn Matthew Stafford into Troy Aikman as opposed to letting him languish like David Carr, Alex Smith or JaMarcus Russell. The Packers went 6-10 in 2008 but they were not a bad or even below average football team. They outscored their opponents 419 to 380, but went 0-7 in games decided by 4 points or less. That is simply bad luck and won’t happen again. Offensively the Packers are making some changes, specifically concerning their offensive line schemes. The Packers are switching from a zone-blocking scheme to a man-blocking scheme but their personnel seems ill-suited to the change. I must admit the offense looks underwhelming no matter what scheme they run. Another concern I have for the Packers offense is the health and performance of running back Ryan Grant. He was hampered by a hamstring injury last season and if he doesn’t regain his 2007 form he must be considered a liability on offense. Having fullback Korey Hall stay healthy will help the offense as Grant’s performance suffered without him. Now, for the good news: quarterback Aaron Rodgers was excellent last season and the Packers have an elite wide receiving corps. Rodgers and wide receiver Greg Jennings form one of the top combinations in the NFL. Wide receiver Donald Driver has been remarkably healthy and remains quite productive despite being 34. Jordy Nelson stepped up into the third WR slot and performed quite well. Tight end Donald Lee has been very effective inside the red zone. Overall the Packers passing game should be quite good as long as the offensive line can give Rodgers time to operate. Defensively, the Packers are switching to a 3-4 system. The Packers drafted B.J. Raji to share nose tackle duties with Ryan Pickett. The addition of Raji should protect Pickett from wearing down, and Raji looks like he could be a potential star due his quickness off the line. I’m less happy with the Packers’ defensive ends as I cannot find anyone that I love, although Mike Montgomery has done a pretty good job despite not being particularly gifted athletically. Outside linebacker (and former defensive end) Aaron Kampman is not happy about the switch to a 3-4 defense as he is much better attacking the line than playing in space. He has the talent to make the transition, and the rest of the linebacker corps is quite good. A.J. Hawk and Nick Barnett should form an effective inside-outside unit, although flipped from last season when Hawk was outside and Barnett was inside. Even without linebacker Clay Matthews (the Packers other first- round selection) the Packers had a very good linebacker corps. The addition of Raji and Matthews should fortify what looked to be a solid front seven. Scouts love the Packers secondary but cornerback Charles Woodson is 33 years old and cornerback Al Harris is two years his senior. Cornerback Tramon Williams hasn’t developed a great feel for the game. Free safety Nick Collins had a monster year in 2008 with seven interceptions, three of which he returned for touchdowns. And strong safety Atari Bigbi has been injury prone and could lose his job. The Packers could use a better punter as well as a better kick returner but overall their special teams are only slightly below average. I like the Packers a lot more than their DVOA projection. I expect them to have a strong passing game as well as a pretty good defense. I have concerns about the offensive backfield and the secondary, but the only major concern is the offensive line. The Packers also luck out a bit in that they get the Bears at home in Week 1 before Jay Cutler has had a chance to settle in and they get the Vikings on the road in Week 4 before the Starcaps suspensions end (update, it appears that the players have successfully managed to delay any league disciplinary action). I’d like to give the Packers 10 wins but their DVOA projection and their offensive line both give me pause, so I’ll go with 9-7. This will end badly. I’m not saying that as a bitter Jets fan. I’m saying that as a bitter Jets fan who used to live in Madison, WI. The best-case scenario is that defenses overestimate Favre and give Adrian Peterson some rushing room. I can’t blame the Vikings for trying to improve their quarterback situation but Favre’s arm simply isn’t what it used to be. Kurt Warner is 38 years old and there are major concerns about him regressing. Favre is 39. I’m not sold on Tavaris Jackson (who is? ), but perhaps Sage Rosenfels would have been able to punish teams for putting eight men in the box to stop Peterson. Speaking of Peterson, his numbers are excellent, particularly given that defenses are keyed to stop him, but he will start to wear down if he doesn’t get more help. I’m also concerned about his fumbling problems. Running back Chester Taylor is an excellent backup and quite helpful as both a pass blocker and receiver. I’m not sure what to say about the WR corps. Bernard Berrian is quite good, although he has been bothered by foot injuries. Tight ends Visanthe Shiancoe and Jim Kleinsasser handle receiving and blocking quite well respectively. Shiancoe looks to become a star. Rookie wide receiver Percy Harvin has first-round talent but I suspect the Vikings made a mistake taking him. He is still quite immature and the list of wide receivers from the SEC that have not lived up to their first round status is long. The Vikings offensive line has a split personality. The left side is dominant as both tackle Bryant McKinnie and guard Steve Hutchinson are among the best in the NFL. Center Matt Birk had clearly fallen off but I’m not confident in his replacement, John Sullivan. The Vikings drafted Phil Loadholt to take over at right tackle. He has great size and strength, but lacks agility. 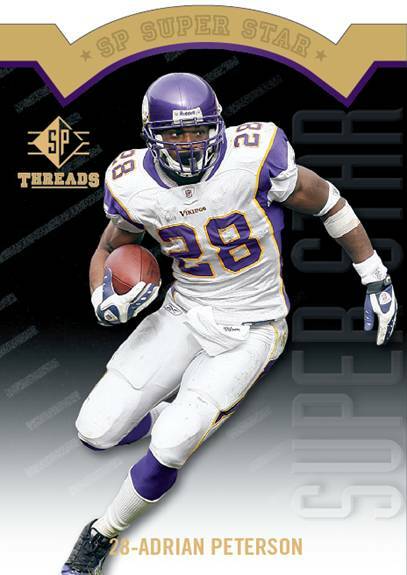 I think he should eventually become a pretty good player for the Vikings but it might not be immediate. Right guard Anthony Herrera was pretty bad last season. Overall the offensive line should be pretty good, particularly at run blocking. The offense really will go as far as Favre (or Jackson, or Rosenfels) can take them. Defensive end Jared Allen lived up to his star billing. It looks like The Williams’s (Pat and Kevin) will both have to miss four games to start the season (update: maybe not, they have so far been successful in court). When they return the Vikings will have one of the strongest defensive lines in the NFL. Defensive end Ray Edwards had decent results given he was usually facing single blocking but he was quite good against the run and looks to be improving. There are depth concerns on the defensive line, but Fred Evans was pretty good filling in at defensive tackle. The Vikings defense played quite well after linebacker E.J. Henderson’s injury, but he was playing at an elite level and his return should help the defense. Linebackers Chad Greenway and Ben Leber round out a well regarded unit. He’s 32 year old but Antoine Winfield has finally become an elite cornerback. Cornerback Cedric Griffin has been inconsistent but was pretty good overall last season. I like the promotion of Tyrell Johnson to strong safety. Free safety Madieu Williams is not really a good fit in the cover-2 scheme but he is a net plus for the Vikings. Last year the Vikings had a Super Bowl quality defense and a terrible offense. This season I don’t expect much to change. 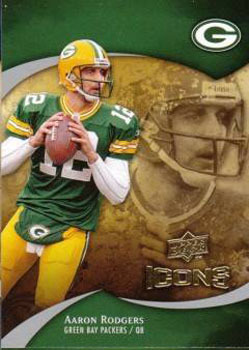 I don’t buy Favre as savior. Between the defense and the running game I can see nine wins. If they get competent quarterback play, 10 or 11 wins would be about right. When it looked like the Williams’s were going to be suspended for four games I was leaning towards 9-7, but with them available all season 10-6 is the projection. Seth Burn has degrees in economics, accounting, and philosophy. His background is in statistical analysis and game theory. He can often be found covering his eyes at Jets games. If you have any questions or comments they can be directed to his cat Molly via sethburnatgmaildotcom. Nice Looking set. Guys, keep up the good work. This Division is wide open this year. Anyone could take it, but look for the Saints.